U.S. State Department's Laura W. Bush Traveling Fellowship deadline is September 22 | Back to Basics Learning Dynamics, Inc. The State Department is currently accepting applications to help fund innovative travel around the world by young people who use education, natural sciences, social and human sciences, culture, or communication and information to build strong ties among nations. The fellowship is intended for American college students who have not been afforded many opportunities to travel abroad. Through 4 to 6 weeks of travel anywhere in the world, you can have the opportunity to interact with individuals from other nations while promoting the goals of UNESCO! The fellowship is intended for American college or university students who express an interest in international collaboration but as of yet had not been afforded many opportunities to travel abroad. The length of time for the travel is expected to be between 4 and 6 weeks and should include interaction with individuals from other nations. During his travel, the recipient should be willing to participate in public diplomacy events arranged with the pertinent U.S. State Department Consulate, Mission, or Embassy. Following the travel, the recipient agrees to submit a report describing experiences and analyzing objectives achieved; share his experiences with others; and be available to make a presentation to the U.S. National Commission for UNESCO. The average fellowship award amount is $2,500. 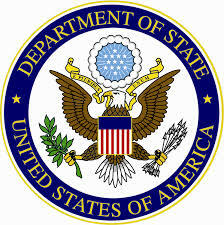 For more information visit U.S. State Department Fellowships. Recent college grads can make a difference through Teach for America! C-Span StudentCam competition deadline is January 20, 2015!